The firm is pleased to announce that Justin A. Brown has become a Principal and Director of the firm effective January 1, 2019. Justin joined the firm in July of 2016. His practice focuses on complex civil litigation, serving both businesses and individuals, as well as internal and government investigations. 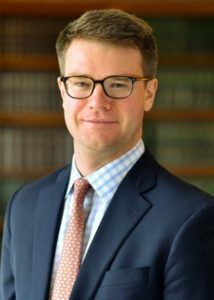 Prior to joining the firm, Justin worked as an attorney at the Boston office of a global law firm. In 2018, Super Lawyers magazine named Justin to its list of Rising Stars in New England for his work in Business Litigation. Justin serves on the board of Green Up Vermont and is a graduate of Vermont Law School (J.D. and Master’s of Environmental Law and Policy) and Tufts University (B.A. ).